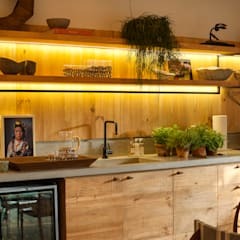 What sort of features are in a tropical kitchen? 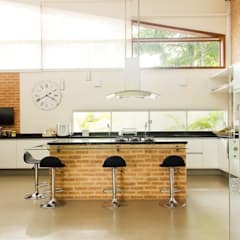 A classic but modern twist that a kitchen planner can add to a tropical style kitchen, is a simple bar stool for seating around the kitchen counter. 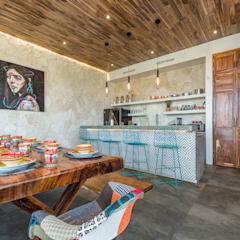 This brings to mind another feature that invites guests to sit inside the kitchen, that is a bar or serving area, where food and drink can be immediately be served to the guests sitting around the kitchen counter. 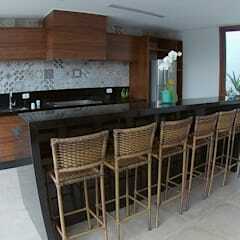 The second smart feature that can be added to a tropical style kitchen, is ample amounts of shelf space. 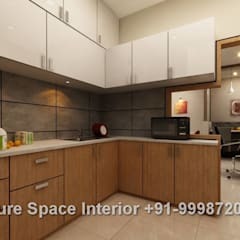 This usually comes in the form of floating or even hanging shelves, which are both a new and modern way to design a classic style kitchen. 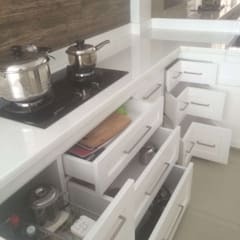 The shelf space is a great way to add display units to a kitchen as well an easy access to the most used items in the kitchen, such as the pots, pans, and drinking glasses. The lighting in any kitchen is very important. Depending on the size of the kitchen one must light the space accordingly. 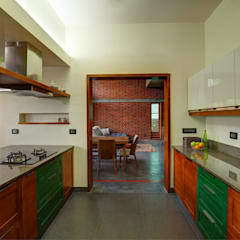 In terms of the design style which in this case will be tropical, the lighting should be soft and subtle. 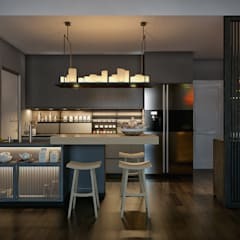 Although, there should also be more natural light than artificial during the day as this reflects well on the colour scheme. The light could come from simple ceiling lights, a grand chandelier, or even several hanging outlets. 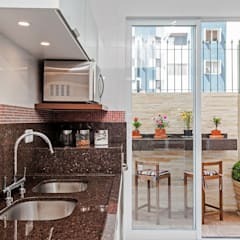 The final feature that will always be found in a traditional or modern tropical style kitchen is always an indoor plant of some kind. 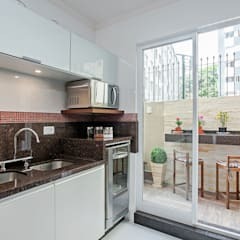 This is completely up to the kitchen planner or interior designer, but one should also keep in mind the size and height of the kitchen and its ceilings. The plants should preferably be of a species that can survive indoors as well as can be maintained very easily. 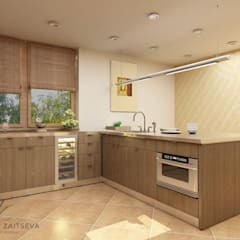 This is another reason why the kitchen will need a lot of natural lighting. 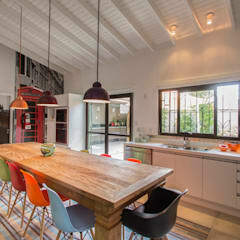 What colours best suit a tropical kitchen? 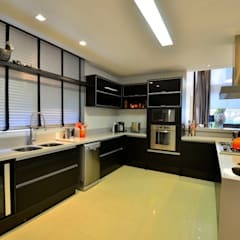 The most common and best suited colours that a kitchen planner or interior designer can put in a tropical style kitchen would firstly be yellow. This colour can be used on the walls, the cutlery and crockery or even the furniture. 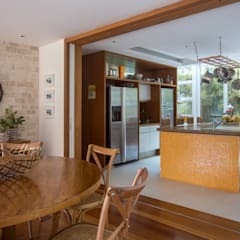 For this style kitchen it would be recommended that the colour yellow be used in the bar stools or within the indoor plants. 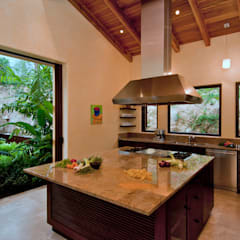 The second colour that could be used in this tropical style kitchen would be brown and all its variations. 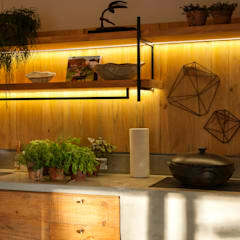 This means that dark brown, light brown, tan, camel skin, beige and so on could be used in the kitchen. 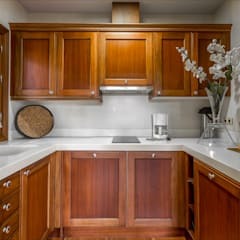 These browns are usually found naturally in the wooden elements of the kitchen such as the wooden cabinets on the walls, the floating shelves that were mentioned earlier, as well as in the drawers and long cupboards. 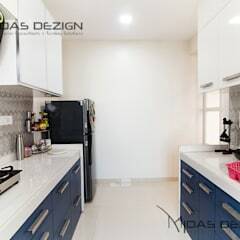 The third colour that should always be used when designing a kitchen, is white. This acs as a form of a pallet cleanser for the senses. 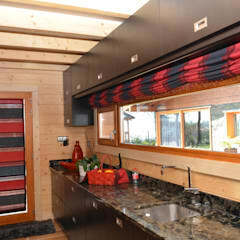 It breaks the other bolder colours down in order for every aspect of the kitchen to work together. 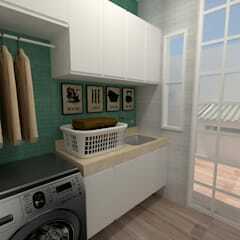 The colour white is usually used on the ceilings, and perhaps on the kitchen counters which could be white marble. 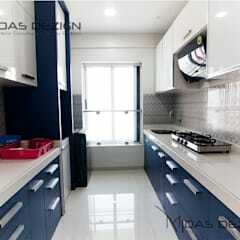 But there are many more places for this colour to be used within a kitchen. 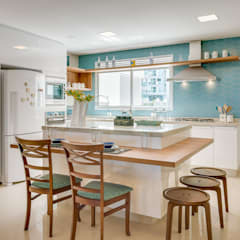 The next colours that a kitchen planner should suggest for a tropical style kitchen are a variety of colours that actually work when used in combination with one another. 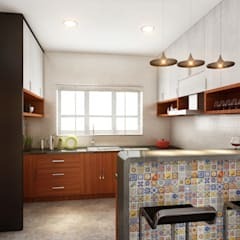 Orange, green and blue can be used in subtle ways such as in the kitchen utensils, the pots, pans, the artwork, the drinking glasses or any other small item of decoration used in the kitchen. 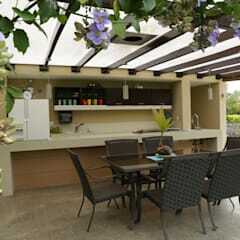 This is a signature design element of the tropical style that we are trying to achieve. 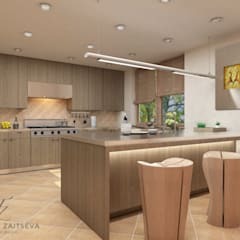 How can I make my tropical kitchen more modern? 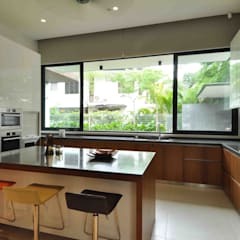 One of the best ways to transform a traditional tropical style kitchen into a modern tropical style kitchen is by installing some modern kitchen appliances to the kitchen to combine those two world into one. 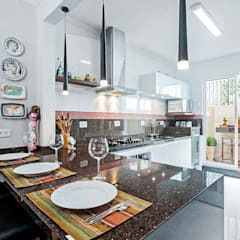 The first modern appliance that a kitchen planner could add is a gas stove. 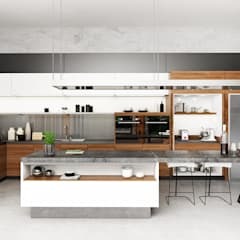 These are fast becoming the safest and more affordable way to cook in a modern kitchen as they do not need any electricity and they can be re-gassed easily. 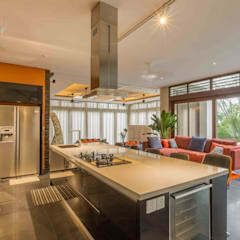 The second modern appliance that could be added to a tropical kitchen is a stainless steel fridge. 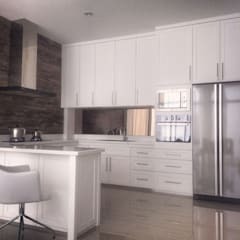 These fridges are great for storing your perishables as well as for adding a sleek modern element to the space. As compared to the old fashioned plastic fridges, they are more futuristic and can perform a lot more functions. 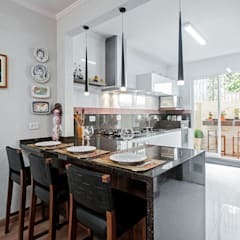 Lastly, every kitchen planner should suggest that their clients add an extractor fan that come in a variety of shapes and sizes as well as colours and designs. Although the most common material used to make these fans are aluminium or stainless steel. The main purpose of an extractor fan is to help clear out odours, smoke and steam from a kitchen whilst they are being produced. They also help in preventing grease fires and smoke inhalation within the home.